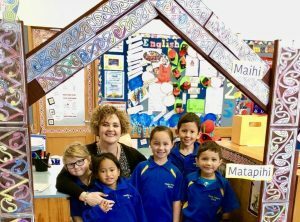 I am very privileged to be acting principal of Huntly Primary School in the heart of Waikato. We have amazing students, the best staff, a wonderful community and a future-focused Board of Trustees. I moved to New Zealand in 2009 from South Africa and has been part of the Huntly Primary family since Term 2, 2009. Taking up a new position has been refreshing with different challenges. We are fortunate that our school has small classes that are appealing to parents and our community of learners. Huntly is an exciting place to be part of and we emphasise FUN while LEARNING! We also expect positive attitudes and excellent behaviour. Our school curriculum links to our charter and both work to set the vision, principals, values and expectations of our school and community. We are always willing to discuss your child’s learning and we are looking forward to meeting you and your child in the future. Copyright © 2018 Huntly Primary School. All rights Reserved.